Brightly painted and engraved with a variety of ornament designs. Size of the egg: 2 5/8" x 2", plate width: 4 1/2"
Individual ornament design will vary. 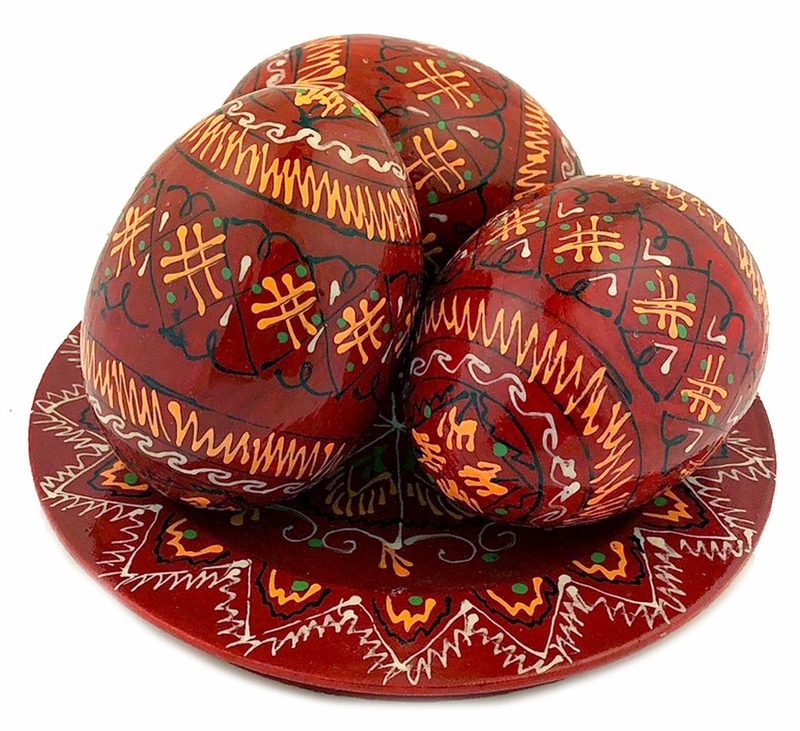 Made In the Ukranian Assorted colors and folk designs.